The American Academy of Otolaryngic Allergy (AAOA) recognizes the importance of allergy skin testing and immunotherapy in the clinical practice of allergy. Although felt to be a safe practice in most patients, certain populations need to be given special consideration as they have been identified as being at a higher risk for compli- cations during skin testing and treatment of allergies with immunotherapy. This is not intended to be an all-inclusive list. Allergy immunotherapy can be continued during pregnancy. Escalation and skin testing should be avoided. The most recent update on allergen immunotherapy states that allergen immunotherapy can be continued but is usually not initiated in the pregnant patient. Allergen immunotherapy is usually not initiated during pregnancy because of concerns about the potential for systemic reactions and the resultant adverse effects on the mother and fetus. For this reason, if the patient becomes pregnant during escalation and the dose is unlikely to be therapeutic, discontinuation of immunotherapy should be considered. Asthma patients should be under good asthma control prior to undergoing skin testing or before the initiation or continu- ation of immunotherapy. In asthma patients, consider evaluat- ing lung function prior to administration of immunotherapy. 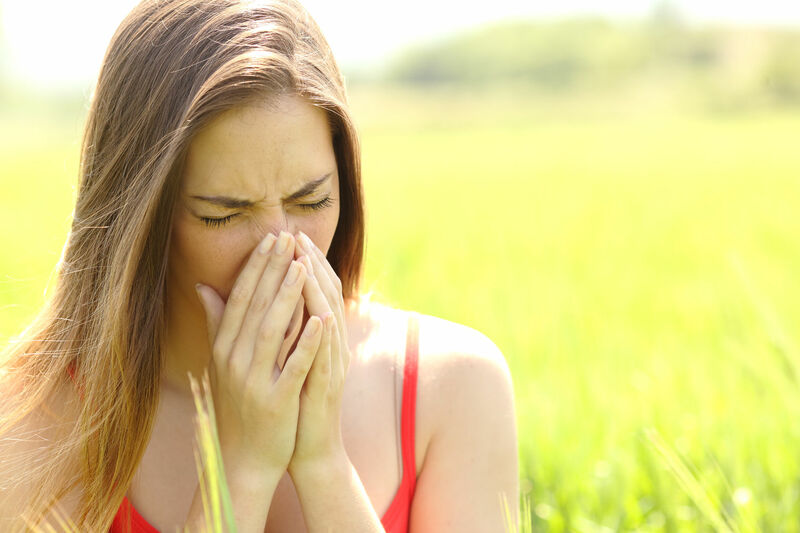 Immunotherapy is effective in the management of allergic asthma; however, uncontrolled asthma has been repeatedly identified as a high-risk factor for systemic reactions during skin testing and allergen immunotherapy. The AAOA recognizes that exposure to a beta-adrenergic blocking agents is a risk factor for more serious and treat- ment resistant anaphylaxis. Therefore it is preferable to not perform inhalant skin testing and immunotherapy on patients taking beta blockers. The balance of possible risks and benefits is not the same for patients with the potential for life-threatening stinging insect reactions who are also taking a beta– blocker. In these patients, the benefits of venom immunotherapy may outweigh any risk associated with concomitant beta-adrenergic blocker admin- istration. The individualized risk/benefits of immunotherapy should be carefully considered in these patients. Lockey RF, et al. Systemic Reactions and fatalities associated with allergen immu- notherapy. Ann Allergy Asthma Immunol 2001; 87:47-55. Roy SR. et al. Increased frequency of large local reactions among systemic reac- tors during subcutaneous allergen immunotherapy. Ann Allergy Asthma Immunol 2007; 99:82.
is the official journal of the AAOA and the American Rhinologic Society (ARS). 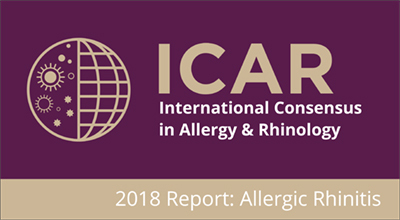 Published monthly by John Wiley & Sons, Inc., IFAR provides a forum for clinical researchers, basic scientists, clinicians, and others to publish original research and explore controversies in the medical and surgical treatment of patients with otolaryngic allergy, rhinologic, and skull base conditions.